We are offering L&T Panel Meters to our clients. -> CTOperated, -/5A in class 1.0 accuracy. -> No seperate Auxiliary supply required. -> Low Power Consumption less then 1 watt per phase. As per the needs and requirements of our clients, we are involved in providing Digital Panel Meter. 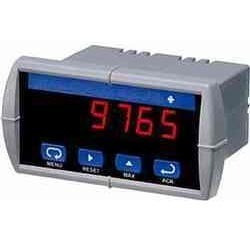 Being a quality oriented organization, we are involved in providing supreme quality range of Digital Panel Meter. Keeping in mind the mind the precise demands and requirements of clients, we offer a wide range of Digital Panel Meter. These are engineered under the firm direction of experienced quality controllers and following international industrial standards. We ensure rough and tough usage and maximum durability of our devices. Banking on the skills of our qualified team of professionals, we are instrumental in offering supreme quality range of Digital Panel Meter. With the firm commitment towards quality, we are engrossed in providing DiGi250 Krykard Panel Meter. We are manufacturer of PANEL METER. 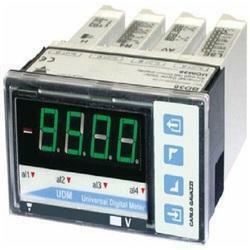 We are engaged in offering a comprehensive range of Digital Panel Meter. Model viber - a pocket size insrument for maintenance and production personnel.